For investors, buying shares of an undervalued stock is good. But there is something much better. I’m talking about buying shares of an undervalued stock where there is also a near-term catalyst on the horizon that will force the market to properly value the company. Value with a catalyst. Yes, that is much better. With that in mind, I present to you Halcon Resources (HK). An undervalued opportunity born out of this latest oil crash. Otherwise known as an undervalued opportunity with a catalyst. The price of oil has crashed. On October 3rd, the price of WTI Crude oil hit a four year high of $76 per barrel. Now just a few weeks later, WTI Crude is struggling to hold $50 per barrel. It has been a breathtakingly sharp fall. As oil has crashed, so too have the share prices of oil producers. The shares of some of those companies are down for good reason. But for others, the relentless selling has created a major opportunity. Halcon Resources is one of those. Before the price of oil rolled over, shares of Halcon Resources traded as high as $4.85 per share. Since then, Halcon Shares have dropped by 40 percent and are under $3.00. What you need to know is that even back when it traded at $4.85 per share, the price of Halcon Resources was significantly undervalued. Halcon Resources is a pure play shale oil producer. More importantly, all of the company’s acreage is right where you want to be in the Permian Basin. The Permian Basin is split into two sub-basins, the Midland Basin and the Delaware Basin. Halcon controls almost 57,000 acres in the red-hot Delaware Basin from which the company currently produces 17,500 barrels per day. This is very valuable land. The going rate for acreage in and around where Halcon controls land is over $30,000 per acre. The other publicly traded companies operating in the area are valued as such with valuations ranging from $26,000 all the way up to $51,000 per acre. Halcon, meanwhile, is valued very differently by the stock market. 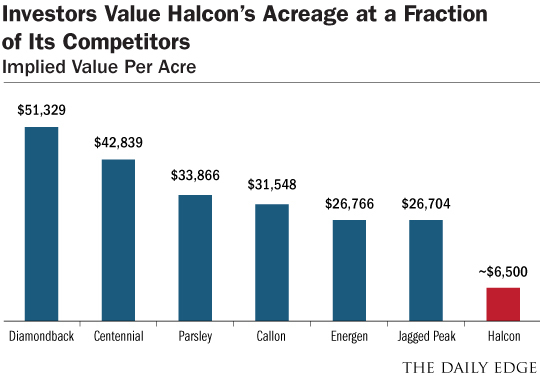 At the current share price Halcon trades for less than $6,500 per acre of Delaware Basin land! That is a fraction of the $30,000+ per acre that this land is truly worth! Perhaps not surprisingly, an activist hedge fund has picked up on this valuation disconnect and intends to do something to rectify it. Fir Tree Partners is a value-focused hedge fund that manages more than $9.4 billion of assets. Halcon Resources has two primary operating areas in the Delaware Basin. One operating area is in Ward County and the other operating area is in Pecos County. Realistically, with all of this acreage the company has too much of a good thing. Halcon just isn’t big enough to drill up all of this land in a timely manner. As an influential shareholder, Fir Tree has come up with a sensible plan. Fir Tree wants Halcon Resources to sell its acreage in Pecos County for a fair price and focus exclusively on Ward County. “Halcon is fortunate to have two terrific acreage positions in Pecos and Ward County. 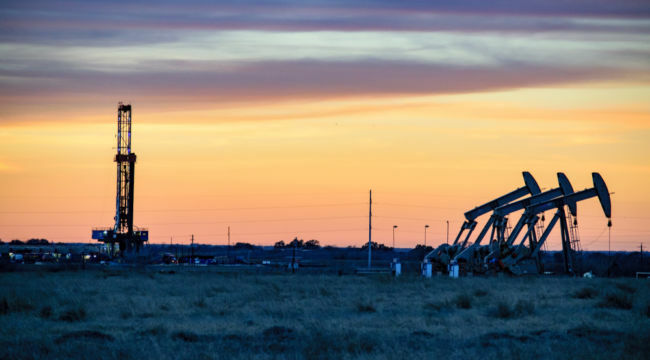 While Pecos provides extremely high quality Permian acreage, it’s not the Company’s crown jewel. Rather, the Company has two decades of higher ROIC inventory to drill in Ward County. Fir Tree believes that the sale of the Pecos acreage is not only the no-brainer choice, but would also be a major catalyst for the share price of Halcon. The proceeds from a Pecos acreage sale would be so large that it would force the market to realize how cheap the company currently is. Fir Tree reckons that conservatively (based on recent comparable transactions), a sale of the Pecos County acreage would bring in close to $700 million. For perspective, what you need to know is that the entire company is currently valued by the stock market at only $470 million. If the market was forced to realize that just a portion of Halcon was worth $700 million, it would then be forced into revaluing the remaining acreage more appropriately. Fir Tree’s target upside for Halcon shares using reasonable assumptions ranges from $9.32 to $17.12. That’s 524% upside from where shares currently trade! Buying undervalued shares is good. But buying undervalued shares with a catalyst is even better.